A Hayward Fault shaker will be way, way worse than 1989’s Loma Prieta quake. But we are not prepared! Nicholas Sitar is a professor of civil engineering at UC Berkeley, and he likes to joke that “earthquakes don’t come with due dates.” Yet he and other scientists say it’s only a matter of time — maybe days, more likely a few years — before a major Earth-shaking catastrophe hits the East Bay. Their words are not scare tactics. The Hayward Fault runs nearly right through the heart of the region, splitting the flatlands from the hills. This 74-mile-long zone has been quiet since 1868, when it generated its last large earthquake. But scientists explained to the Express that the average time frame in which a large tremblor occurs on the Hayward Fault is about 140 years. And that period lapsed in 2008. “Yes, in terms of the statistical average, we are now well past the average period between earthquakes,” is how Sitar put it. This means that, in layman’s terms, the proverbial Big One is overdue. The professor is among many scientists who spend their time considering what would happen if a quake similar in size to, or perhaps substantially more powerful than, the 1868 Hayward Fault shaker struck Oakland and the greater region today. Nearly all agree that it would be a terrible disaster. So how would an earthquake along the Hayward Fault look like? The shaking of a 7.0 magnitude earthquake would cause tremendous and unprecedented destruction. Thousands of buildings — even dozens of hospitals that are rated by state officials as seismically unstable — could be destroyed. Gas and water lines would break, and fires would leave the region reeling, if not wholly crippled, for days. Looters and thieves almost certainly will take advantage of abandoned homes and busy police and emergency officials. Even less-dramatic experts such as Sitar concede that hundreds of people will die. Others expect a death toll in the thousands. The silver lining is that agencies in the East Bay are at least somewhat prepared. Bay Area Rapid Transit has largely quake-proofed the more significant pieces of its system, such as several parking buildings, the Transbay Tube, and many miles of aerial tracks. PG&E and the East Bay Municipal Utility District likewise say they have been working to seismically fortify their systems, especially the major transmission pipes. The other sort-of-good news is that the Hayward Fault has its limits. The biggest quake it can generate is probably something on the order of a magnitude 7.5 — smaller than the devastating 9.0 quake off the coast of Japan in 2011, but still pretty damn big. But what makes the Hayward Fault really scary, though, is its location: It runs smack through densely populated urban areas, clusters of inadequately reinforced buildings, and tangles of freeway overpasses (see a map on page sixteen). And just because these structures survived the 1989 earthquake does not mean they are quake-proof — by a long shot. Stanford University professor of geophysics Mary Lou Zoback, who has analyzed Bay Area earthquake hazards for years, warns it would be a grave error to assume that the ’89 trembling was a sound assessment of the region’s infrastructural integrity. She says that, when the Big One hits, thousands of buildings will fail their first true seismic stability test. Many will entirely collapse, crushing scores of office workers. Or, if at night, sleeping residents. Ken Hudnut, a scientist with the United States Geological Survey, says the Hayward Fault is probably going to generate an earthquake like no one alive has experienced. How Big and How Bad? Just about everyone who lived in the Bay Area in ’89 remembers what happened on October 17. At 5:04 p.m., just as game three of the World Series between the A’s and the Giants was beginning, the Earth shook so hard that the Nimitz Freeway collapsed in Oakland, killing 42 people. A section of the Bay Bridge fell, and a devastating fire erupted in San Francisco’s Marina District. It seemed at the time like the Big One had struck. The next morning, the San Francisco Chronicle ran a headline claiming the earthquake had left “hundreds dead.” It was a terrifying figure — and fortunately an overestimate. Sixty-three people died in that quake. In fact, the Loma Prieta shaker on the San Andreas Fault was not very large. It rang in at a medium-big 6.9 on the Richter scale — about the same as the Hayward Fault’s 1868 quake, which killed thirty people. Since the Richter scale is not linear but logarithmic, the 1906 quake’s 7.8 magnitude was eight-times larger and 22-times more powerful than the Loma Prieta upheaval, according to a calculation formula used by the United States Geological Survey. Moreover, neither the 1906 tremblor nor the Loma Prieta quake actually struck an urban area. The earlier one’s epicenter was in northwest Marin County, and the ’89 earthquake shook hardest in the Santa Cruz Mountains. An East Bay epicenter could be a whole lot worse. In a report from 2008, seismologists calculated that a repeat of the 1868 Hayward Fault quake — which was centered in that city — would cause monumental damage. More than 100,000 people would be left homeless. And the damage toll – from the shaking only and not from possible post-quake fires – would run roughly $165 billion. That report came from the Risk Management Solutions, an East Bay consulting firm, and the Hayward Earthquake Alliance. Stanford professor Zoback used to work for Risk Management Solutions and co-authored the 2008 study. She says a big lurch of the Hayward Fault would likely kill hundreds, and possibly thousands, of people. “But probably not tens of thousands,” she said. A 2010 report from San Francisco’s Community Action Plan for Seismic Safety Project estimated that a 7.2 earthquake on the San Andreas fault would make 27,000 buildings in San Francisco — about one in five — unsafe to dwell in. Nearly 4,000 buildings would need to be demolished, too. The report also estimated the earthquake would start more than seventy fires, which could destroy another 2,000 to 3,000 buildings. Total damages from the earthquake and fire might run $34 billion. Three-hundred people could die. The report warned that a repeat of the 1906 quake could kill nearly 1,000 people. The injury and death toll would have much to do with the hour that the earthquake strikes, Zoback says. The worst time of day to experience a large earthquake in the Bay Area would be mid-afternoon, when many people are at work. “Having lots of people in buildings is the concern, since, if just one of them collapsed, you could have lots of people killed,” she said. 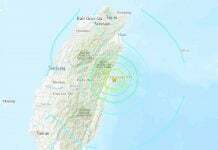 The potentially disastrous consequences of a mid-sized earthquake striking a city in a developed nation were seen on Tuesday, January 17, 1995, in southern Japan. At 5:46 in the morning, a magnitude 6.9 earthquake caused several feet of lateral and vertical displacement of two adjoining tectonic plates. The city of Kobe was left in ruins, and more than 6,000 people died. Though the Loma Prieta quake gave millions of people an idea of what a big earthquake feels like — and also revealed weak points in social infrastructure and building codes, and helped officials map out developed areas of artificial fill prone to disastrous shaking — it wasn’t a serious field test of the Bay Area’s seismic tolerance, according to Rundle. Near Lake Merritt along Perkins Street, hundreds of people live in multistory apartment buildings. The ground level of many of these structures is dedicated to parking — a convenient feature for residents who like to keep a car handy. However, this outdated building design, virtually void of supportive cross walls at the street level, makes such buildings very dangerous. Experts say they are likely to collapse in an earthquake, as the ground floor gives way, followed by the floors above. In China in 2008, thousands died in the city of Beichuan when a 7.6 magnitude shaker turned hundreds of such so-called “soft-story” buildings into bloody rubble heaps. Some of the worst damage in the ’89 quake, in fact, was seen in soft-story residential buildings in San Francisco. And in the ’94 Northridge earthquake in Los Angeles, sixteen people — probably sleeping at the time — died in a single soft-story building when it crashed down upon its own foundation at 4:30 in the morning. There are estimated to be about 15,000 such buildings in Los Angeles today. Oakland has about 1,500 soft-story structures vulnerable to collapse, according to estimates from the city’s Resilient Oakland Initiative, launched in March 2015. A source who did not wish to be named said that upgrading soft-story buildings has slipped dangerously low on the priority list of Oakland officials. The city’s chief resilience officer, Kiran Jain, did not return a call to discuss this issue. Dana Brechwald, resilience planner with the Association of Bay Area Governments, also did not respond to two calls and two emails. The city of San Francisco is doing better and now requires landlords to retrofit soft-story buildings with support pilings at the ground floor. Still, more than 5,000 soft-story, multi-unit buildings remain. And about 120,000 people live in them, according to Patrick Otellini, San Francisco’s director of earthquake safety. If these buildings aren’t retrofitted, he says, many people are going to die or be injured. Otellini says the retrofit work should be completed by 2020. If an earthquake strikes before then and destroys a significant number of San Francisco’s soft-story residential buildings, the city will face an instant housing crisis. That, Otellini explains, is because most of the units within these buildings are currently rent controlled. If these buildings collapse, they will be rebuilt in the absence of such tenant-protection codes. Former residents would likely be priced out of the housing market. “Then, we could have 100,000 people without homes,” he said. Otellini noted that the aftermath of earthquake destruction is not limited to, or focused in, low-income neighborhoods. Other structures less easy to identify and inventory are also prone to breaking apart in a big earthquake. These include buildings constructed decades ago with weak steel welds and made with brittle types of concrete. Otellini says public schools may even be in better shape than private schools, since the former have been subject to greater structural scrutiny and building codes. What’s also concerning is that more than fifty Bay Area health clinics are on the list of buildings likely to collapse or be irreparably damaged in a large earthquake, according to California Human and Health Services’ data from May of this year. Using a scale of one to five, with five indicating structural soundness, the agency assessed hundreds of hospitals and clinics statewide for seismic structural integrity. Of 147 in the East Bay, 27 received a rating of one, which means that the facility poses a “significant risk of collapse and danger to the public,” according to the state. Twenty-five more buildings were rated two. Even soundly built homes and other structures may crumble in the Big One due to a phenomenon called liquefaction, by which soft, unstable soil actually turns and roils in an earthquake — much the way coffee and cream can blend in a roughly vibrated mug. Liquefaction, a familiar term to anyone studying earthquakes in the Bay Area, is a potentially devastating process that has, in places, destroyed entire neighborhoods and cities. Liquefaction can knock large buildings off their foundations and tear apart pipelines, especially in places built on artificial landfill. The damage in Kobe, Japan, was largely attributable to liquefaction of sand and gravel soil. Much of the developed area along the Bay’s shoreline — such as the Port of Oakland, for one — sits on artificial fill. “And we saw how well artificial fill held out in Loma Prieta,” Zoback said, referring to San Francisco’s Marina District, where liquefaction practically overturned entire homes and duplexes. To help protect against liquefaction, local water suppliers are replacing pipe networks with thicker, stronger tubing. But work crews are progressing at only about thirty miles per year. This means there is little chance of completing the upgrades before the next large earthquake, and there will surely be countless ruptures when the Hayward or San Andreas faults slip again. Plumes of leaking gas will almost certainly burst into flames, and this could be the source of most of the damage. Even Berkeley professor Sitar, who says most risk-assessment models exaggerate predicted damage and death tolls from earthquakes, thinks fire will deal the greatest blow to the Bay Area when the Big One hits. “That is how we might see a large loss of life,” he said. If you stroll along Dwight Way in Berkeley, the hustle of downtown disappears a block at a time. Near the top of the long grade, the street eventually dead-ends at a public park. But never mind the idyllic Berkeley Hills scenery; be sure to take notice of the cement sidewalk. Just past the intersection with Hillside Avenue, the curb abruptly turns in several inches, offset by the slow — slow — migration of the Earth’s surface on either side of the Hayward Fault. This is rare, and marvelous, visual proof of plate tectonics in action. The south wall of the UC Berkeley campus stadium, too, shows unmistakable evidence of what scientists call “fault creep.” So do numerous other curbs, rock walls, and sidewalks along the fault, which scientists say is creeping several millimeters every year. But the most famous visual indicator of local fault creep, the spectacularly offset curb at Rose and Prospect streets in Hayward, was eliminated earlier this summer by a maintenance crew, who replaced the sidewalk with a wheelchair ramp, much to the sorrow of geologists and earthquake buffs. The point here is that every pipe, roadway, train line, and other solid structure that crosses the Hayward Fault and is not modified with state-of-the-art protections will be broken, cracked, ruptured, or entirely sheared in half when the fault line suddenly slips several feet at once. Hudnut at the USGS reminded that there are several hundred buildings that sit smack on the Hayward Fault. Fortunately, local agencies have gotten a jump start on protecting this infrastructure against rupturing. For example, the two large pipelines that deliver water to San Francisco cross the fault in the East Bay hills, and the S.F. Public Utilities Commission has seismically retrofitted them. The pipes are six-and-a-half feet by eight-feet wide, and are now encased in concrete vaults hundreds-of-feet long, where they cross the Hayward Fault in Fremont, just underneath Interstate 680. The vaults are sectioned so they can accommodate horizontal displacement along the fault of as much as six feet without the rigid pipes breaking. The pipes themselves are fitted with ball and slip joints within the concrete vault to allow them to rotate and shift. The project cost $75 million and took three years to complete, wrapping up in late 2015. Similar engineering was used about a decade ago to protect the major pipeline that delivers water to 800,000 people on the west side of the East Bay hills, according to Andrea Pook, a spokesperson with East Bay Municipal Utilities District. EBMUD’s main transmission pipe leads from the Delta and through the hills via the nine-foot-wide Claremont Tunnel. Inside the tunnel, where the pipe crosses the Hayward Fault, it rests on rollers so that, when the fault slips, only the tunnel walls will rupture, allowing the pipe to shift unharmed. Four major gas transmission lines near the Hayward Fault are potentially vulnerable to rupture, according to Melissa Subbotin, a PG&E corporate-relations officer. She says the company’s top priority for immediately after an earthquake is locating leaks and remotely turning off gas lines as needed. She says the company runs a fleet of ten specialized vehicles fitted with methane-detecting technology that can pinpoint gas leaks under the sidewalk. These vehicles cruised the streets of Napa following that city’s 2014 earthquake and will certainly be deployed in the East Bay when the Big One hits. Five major freeways cross the Hayward Fault, as well. But according to a report from Caltrans, seismic upgrades have been completed on nearly all of more than 2,000 bridges and over-passes. In theory, they should now be protected against collapsing. It is unclear whether the Tesoro and Valero oil refineries on the shore of San Pablo Bay are seismically stable. Neither company returned emails to discuss these issues. Zoback, for one, believes these facilities represent a serious health and fire hazard. “The fault runs right by them, and they have miles and miles of pipes,” she said, adding that she would appreciate some transparency from refinery managers. “Everyone else, from Caltrans, to PG&E, to East Bay MUD, to BART — all of the other infrastructure owners — have made big investments in seismic upgrading, and we just don’t know anything about those refineries,” she explained. In Sacramento, state officials are taking the risk of an extremely deadly earthquake in California very seriously. The governor’s Office of Emergency Services has three earthquake-specific plans. One focuses on the aftermath of an earthquake on the Cascadia subduction zone, an ocean-floor fault running from Northern California to British Columbia. John Rundle, a distinguished professor of physics and geology at UC Davis, says the Cascadia subduction zone experiences a magnitude 8 to 8.5 earthquake every two-hundred to three-hundred years on average. 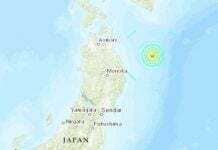 Seismologists have warned that a large earthquake on this fault will cause a tsunami about as deadly as Japan’s 2011 catastrophe, which killed more than 10,000. Most of the impacts would occur north of Sonoma County. The OES also has a Bay Area Catastrophic Earthquake Plan, which provides a framework for bringing outside assistance to impacted areas in the aftermath of a significant fault rupture. First, neighboring towns will help communities. Then, neighboring counties will help, and then the state, and finally, if necessary, federal agencies. The OES will conduct this cooperative relief effort, according to deputy regional administrator Ryan Arba. The City of Oakland too has an emergency plan for when things go haywire. The strategy basically prepares for the worst-case scenario: 1.8 million Bay Area households with no running water, 300,000 people are left homeless, and 7,000 are dead. In the aftermath of such an earthquake, the City of Oakland’s top focus will be protecting people. “Our [No. 1] priority is life safety, followed by protection of property, the environment and return of a healthy economic state to the City of Oakland,” the Fire Department’s emergency manager Cathey Eide wrote in an email. Even traumatized pets, she said, are a concerning issue. Eide also explained that officials recognize the possibility that crime could be a problem immediately after an earthquake. More than that, however, she says they expect a natural disaster to bring the community together. And although Sitar at UC Berkeley thinks looting and home break-ins could surge post-quake, he agrees that society will not entirely break down. “Not all the roads will be out, not all the bridges will be down,” he said. But what if your home experiences significant damage? The state formed the California Earthquake Authority in the wake of Northridge, and the group, while not a state agency, is essentially a not-for-profit insurance company that educates the public, mitigates disaster, and insures homeowners. The group’s executive director is Glenn Pomeroy, and his job is to at once “not indulge in fear tactics,” he says, but also focus on how “the risk is real” when it comes to the Big One in the Golden State. “The scientific community says there’s a 99.9 percent probability of a 6.7 or greater happening in California in the next thirty years,” he explained. And, if you narrow it down to Northern California and the Bay Area, there’s a 76 percent of a 7.0 in the next thirty years, he said. 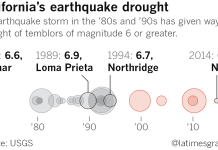 “And a 7.0, as odd as it sounds, is three times stronger than a Northridge 6.7.” And Northridge in ’94 did $40 billion worth of property damage, half of that to homes. For East Bay resident Jeffrey Royer, whose home sits almost exactly on the Hayward Fault, his personal earthquake-preparedness plan is loosely built on the assumption that his home will not be entirely demolished. He keeps flashlights handy around the house. “And there’s water in the water heater and the toilets,” he said. In his own home, Sitar and his wife each have their own earthquake backpack containing a flashlight, gloves, freeze-dried food, and a blanket. Sitar isn’t very concerned about drinking water, and he says the common advisories that people keep a drum of potable water in their basements or backyards, to tide them through the dry spell likely to follow a large quake, are probably overly cautious. Most people, he says, have enough liquids in their refrigerators and pantries to get them through a day or two of post-quake hard times. No matter how destructive the Hayward Fault’s next lurch — and it will be destructive — experts assured that the Big One will not be the end of the world. “Don’t get me wrong,” Hudnut said. “The number of people who are going to be killed will be really, really bad.